One thing there never seems to be enough off is time, and as leaders we know this all to well. Between meetings, running reports, unexpected fires and whatever else the day brings, the constant feeling of needing to play catch up lingers. I hear it repeatedly “I don’t have enough hours in the day.” We’ve all felt this feeling, as minutes whip by and tasks continue to pile up. However, the hard truth is: it’s not the clock’s fault that you didn’t return that phone call or have yet to touch base with Sean in Accounting, it’s yours. So how can we make the most of our time each day, especially when we don’t have any more time to use? Simple, start working smarter! To be a productive leader you first need to be prepared to lead. When you commit the time to make time you are much more likely to accomplish the most of each moment throughout the day. Start each morning by creating your game plan. Taking 10 minutes to review what needs to happen first thing puts the tasks at hand into perspective. This schedule allows you to be aware of not only what needs to happen, but what isn’t being accomplished as well. By keeping track of how you are spending your time, you’re also setting up a system that will determine when you’re off course and can take steps to get back on track. Don’t start your day until you complete your to-do list. The most important time of your day is the time you schedule, to schedule time. It is also important to compare your list from the prior work day when starting your new one. What didn’t you accomplish yesterday? Why didn’t it get done? Is that now your first item of action for today? Taking time to reflect is equally as important and taking the time to plan. Prioritize your list in order of importance. Some of our tasks are “crucial” and some of our tasks are “not crucial”. It is normal to tend to gravitate to the “not crucial” items because they are typically quicker, and less challenging to complete. Identify the most important task you need to do and label it as a “1”, the second most important task as a “2”, etc. Then tackle your items in the order of importance, doing the most important items first. Shift the focus, instead of letting your day run your calendar, let your calendar run your day. Productive leaders consolidate all of their tasks and activities into blocks of time for each activity into one capture system. 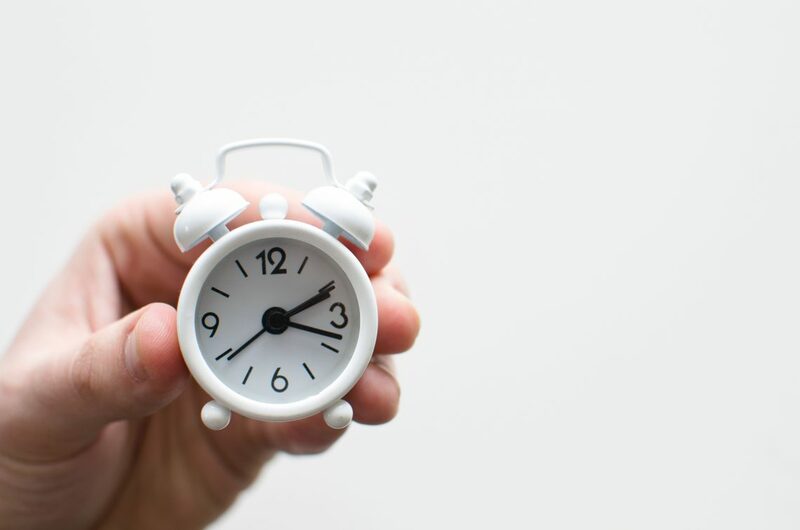 Whether it be putting in 5 minutes to touch base with an employee or 1 hour for a meeting block time into increments for the entire day to identify your real available time. This prevents double-booking or missed opportunities to connect with your team but most importantly it holds you accountable to what you must accomplish. Don’t Just Say No – Delegate! Allow your self to reflect and ask yourself throughout the day if how you’re spending time is really your priority or someone else’s. Being able to recognize items on your desk that can easily be handed off to someone else is a sign of a strong leader. This sets you up with being able to focus your time on what really matters – leading your team! Sign up for the Acuity Newsletter to receive the latest insights on leadership trends, HR, events and more! Acuity HR Solutions will use the information you provide on this form to be in touch with you and to provide updates and marketing.